. استمتع بالخدمات الراقية والضيافة التي لا مثيل لها بهذا الفندق في اثرتون تبللندس. لضمان راحة ضيوفه، يقدم الفندق الخدمات التالية: واي فاي مجاني في جميع الغرف, مدفأة, متجر هدايا/تذكارات, مجهز لذوي الإحتياجات الخاصة, مرافق مخصصة لذوي الاحتياجات الخاصة . استمتع بوسائل الراحة الراقية في الغرف أثناء إقامتك هنا. بعض الغرف تتضمن تلفزيون بشاشة مسطحة, اتصال لاسلكي بالإنترنت, اتصال لاسلكي بشبكة الإنترنت (مجاني), حوض الاسترخاء, غرف لغير المدخنين لمساعدتك على استعادة طاقتك بعد يوم طويل. صممت خدمات الاستجمام في الفندق والتي تتضمن سبا, حديقة لمساعدتك على الاسترخاء والراحة. استمتع بخدمات لا يعلى عليها وعنوان ذو اعتبار في Allumbah Pocket Cottages . We stayed at Allumbah Pocket Cottages some years ago. It featured a fully cooked breakfast, bacon, local eggs, mushrooms, local tomatoes, whole-wheat bread etc. to self cook. Many 'flavours' of bath bombs, lotions, local soaps etc. The room was opulent and squeaky clean. Things have gone a little downhill. One bath bomb. Continental breakfast includes white, raisin or gluten free bread and jam. Some other choices, all very 'white'. Room was a little grubby. It's lost it's finesse although the price certainly reflects this. Great location, the happy hour is a great idea for travelers to meet and talk could have a hot option for breakfast even if you had to pay separately for it. We used to enjoy the homemade breakfast bread basket with local products, an alternative option? Overall a great stay with friendly staff as usual and the reason we keep coming back. Everything was in good condition and worked. Free wine for happy hour. Beautiful setting. It was lovely, quiet, and everything was nice and in good condition. Would have loved to stay longer. The village is nice, too. One of the most enjoyable hospitality experiences to date. The welcome package, the room, and the location. we had such a nice time that we ended up booking an extra night. absolutely lovely and very eager to help us in anyway regarding our trip, giving us helpful tips on where to eat out etc. we loved the out door spa and guest lounge which included complimentary cakes, biscuits, coffee and tea a huge outdoor tv screen with comfy chairs and 'happy hour' where we were offered a glass of wine. i have never experienced such hospitality anywhere and we have traveled a lot! thank you melanie, we will be back! the cottages were extremely clean and comfortable with all the amenities required including a jacuzzi in the bathroom.breakfast was left for us in the fridge which consisted of all local produce and freshly baked bread. an added touch was happy hour between 6.00 and 7.00pm.were a glass of wine was taken chatting with other guests and the owners of the property. 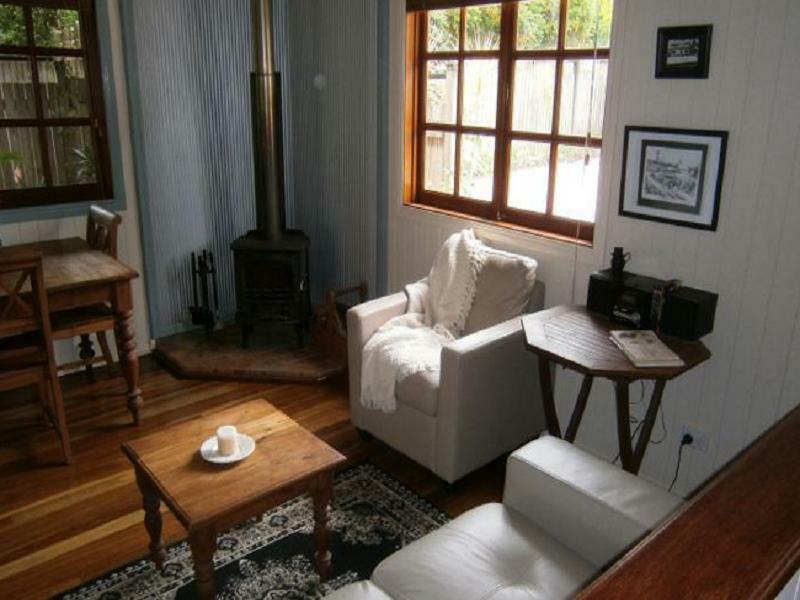 allumbah pocket cottages in yungaburra is an ideal location when visiting the tablelands. Walkway behind the complex and the outdoor entertainment area including free wine help to differentiate the Allumbah Pocket Cottages from the many, many offerings in and around the Atherton Tablelands. Recommended particulary for young and old book lovers who want a quit=et break. this hotel was such a pleasant surprise - what was intented as a side stop on our road trip turned out to be one of our favourite stays on the whole trip! the owners have clearly put a lot of love and attention to detail into building the cottages and the breakfast with local ingredients was great. great value for money, i was very impressed.